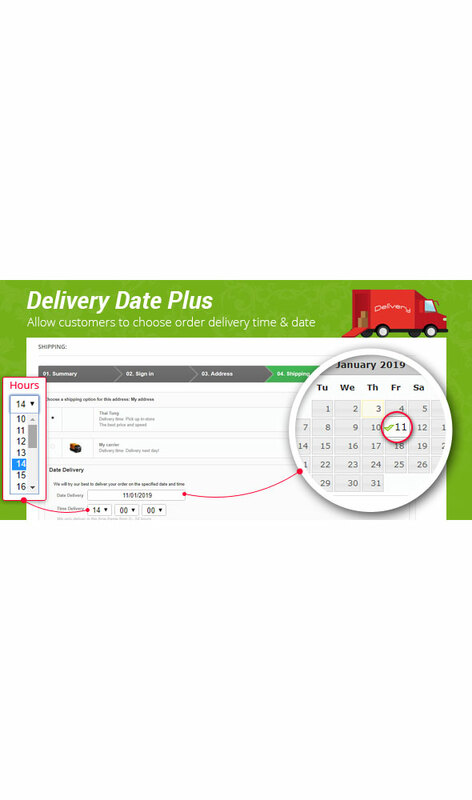 Allows customers to specify delivery time & date for shipping their orders at checkout. Many customers don’t buy your products that they desire because they are not home, they are often at work and don’t won’t want to receive it in that specific moment, so they delay the purchase and end up not buying anymore. 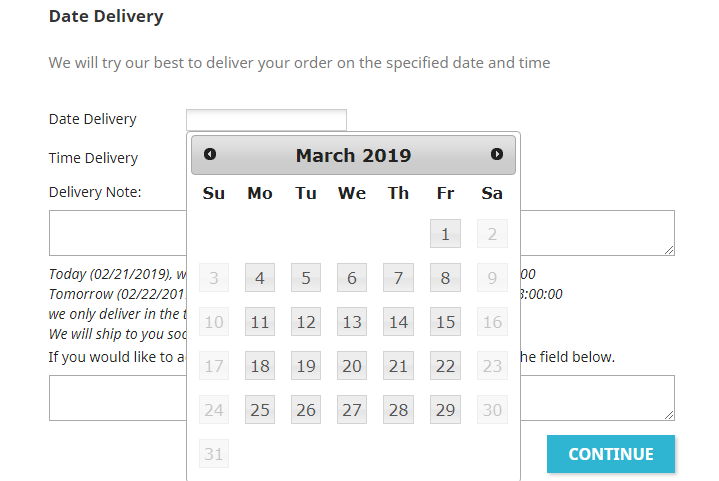 With the Delivery Date Plus module you will be able to get back to this big share of customers, allowing them to choose when they will receive the object they purchased, which day, which time and using which courier, while the vendor is free to create a calendar displaying the days available and create a minimum time frame they can use to handle shipping. This module is ideal to get back your lost customers and create dedicated services such as home delivery for gifts and products. Increase customer satisfaction with flexible delivery options. Pick a convenient delivery date, an appropriate delivery time. Compatible to both one-page checkout and 5-steps checkout. Manage Orders with deliveries more efficiently. 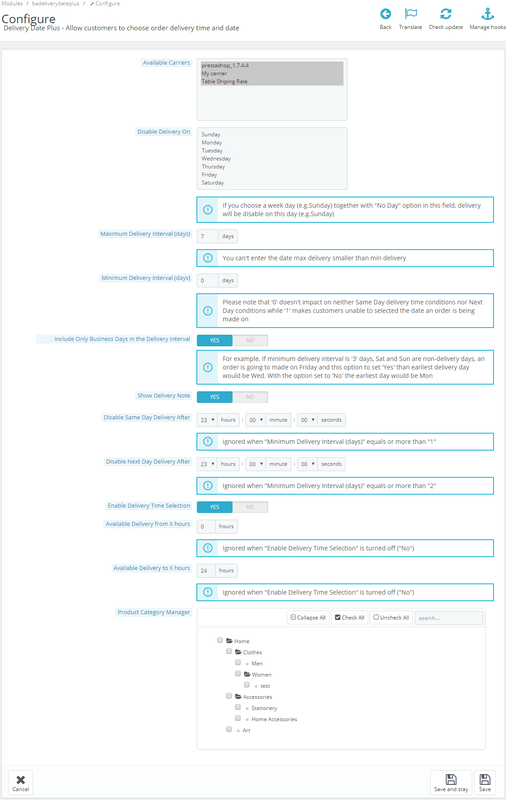 Admin can filter, sort, search the orders by delivery date, time in the Prestashop’s Backoffice, gives you a birds eye view of the upcoming deliveries. 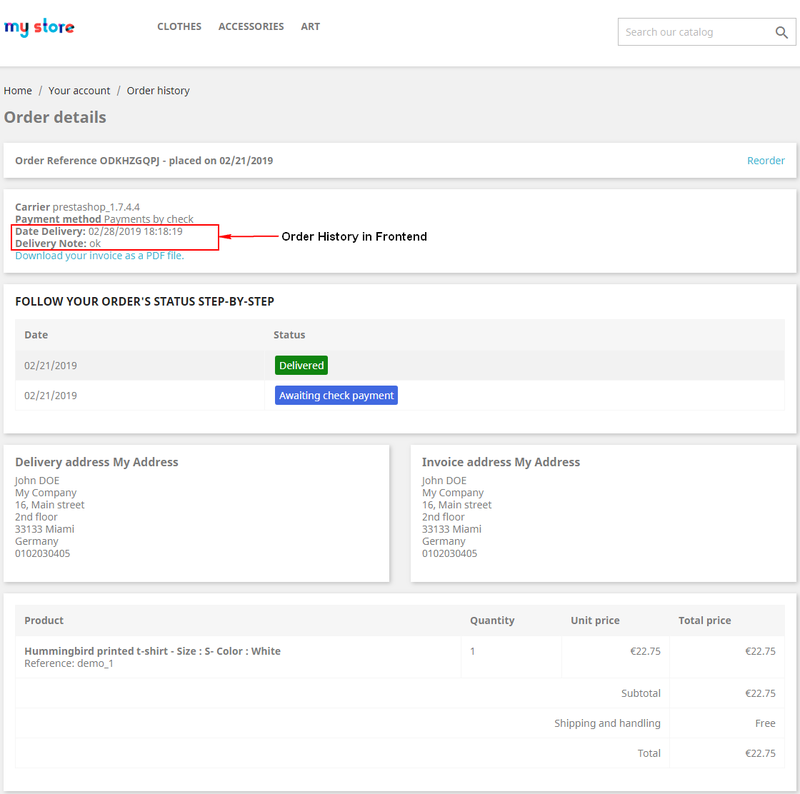 Admin can setting Minimum Delivery Interval (days), Maximum Delivery Interval (days), Disable Same Day Delivery After, Disable Next Day Delivery After, Available Delivery from X hours, Avaliable Delivery to X hours. 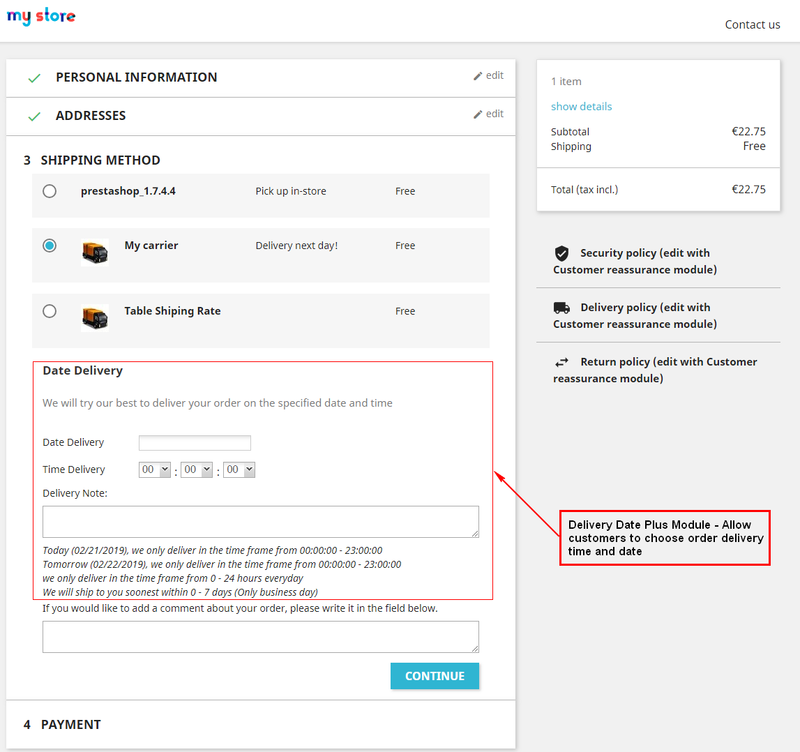 Allow admin to enable same day or next day delivery option.